Product prices and availability are accurate as of 2019-04-19 04:16:54 UTC and are subject to change. Any price and availability information displayed on http://www.amazon.com/ at the time of purchase will apply to the purchase of this product. 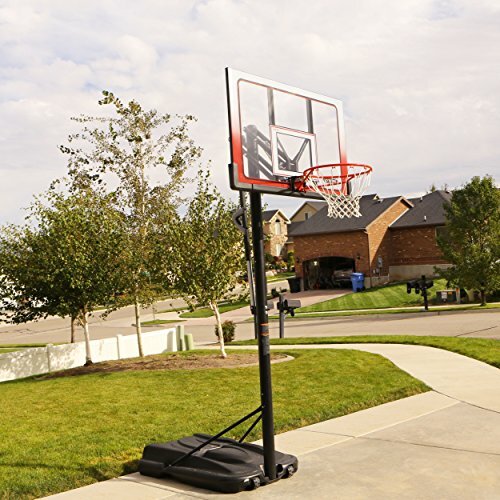 Built for action and convenience, the Lifetime 52 Inch Portable Basketball Hoop System gets the game started and keeps it going strong. 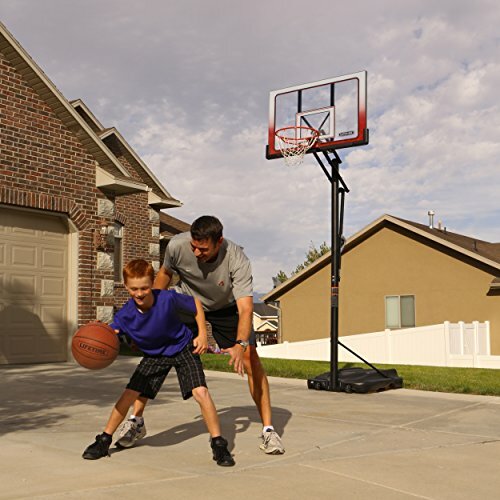 This premium-quality system comes with everything you need to set up a goal ideal for practices and games, and it's quick and easy, too. 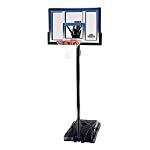 The clear polycarbonate backboard is supported by a steel frame and measures 55W x 1D x 33H inches; the surface is shatterproof and printed with fade-resistant graphics to show the target zone. 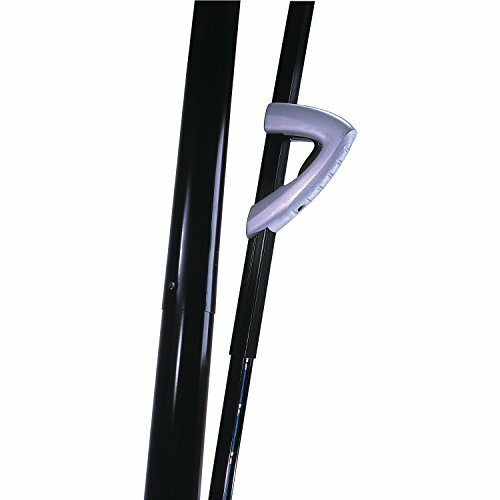 The backboard mounts to a 3.5-inch diameter powder-coated telescoping steel pole, which adjusts with one hand thanks to the Action Grip Height Adjustment. 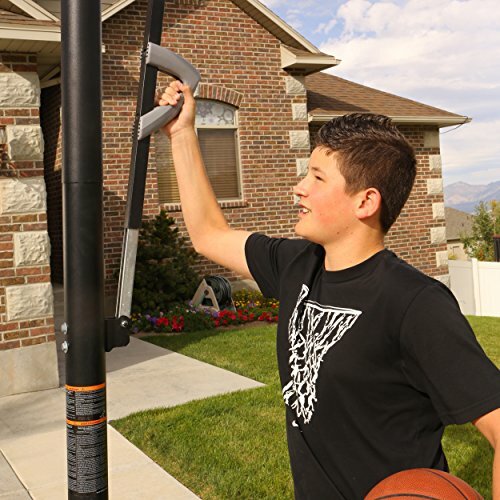 Change the height of the rim in 6-inch increments, from 7.5 feet to 10 feet, with this easy-to-use feature. The Lifetime Hoop includes a Slam-It Rim, which is built to take a slam thanks to double-compression springs for bounce-back action, and supportive .5-inch steel braces. 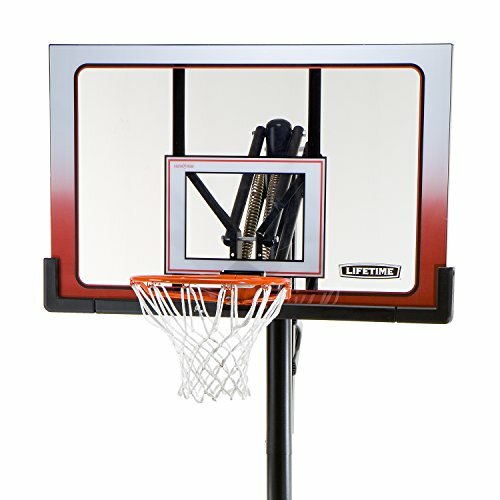 The rim measures 18 inches and is made from 5/8-inch solid steel. A 70-gram all-weather nylon net is also included. This goal system comes complete with a heavy-duty portable base, which has a 35-gallon capacity. Fill it with sand or water (not included) when you're ready to play, and empty it for easy portability. No cement required! 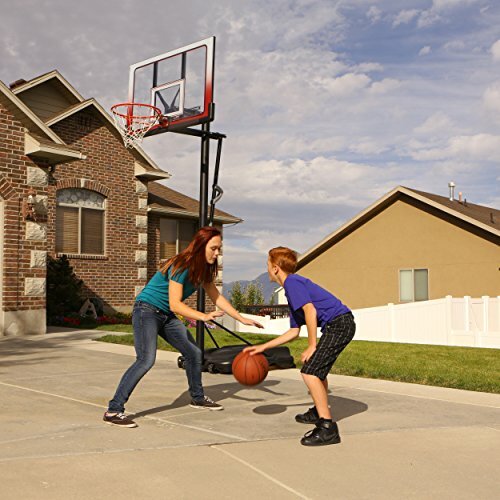 More Specifications 22-inch extension from playing surface to pole Casters on portable base for easy rolling to location 5-year limited manufacturer's warranty included Overall dimensions: 52L x 52W x 144H inches (at tallest setting) One of the largest manufacturers of blow-molded polyethylene folding tables and chairs and portable residential basketball equipment, Lifetime Products also manufactures outdoor storage sheds, utility trailers, and lawn and garden items.